The new homepage features four major topic groupings: Diseases and Conditions; Drugs; Diagnostics and Tests; and Therapies, Treatments, and Surgeries. 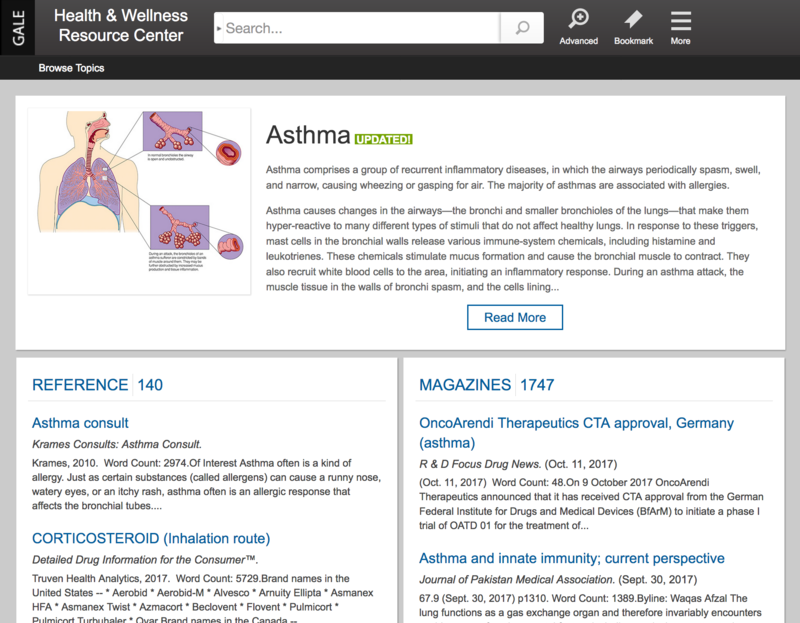 This rich digital resource offers access to thousands of full-text medical journals, periodicals, reference works, multimedia and more, covering a full range of health-related issues, from current disease and disorders to in-depth coverage of alternative medicine. Also, to address the need for access to authoritative medical content for Spanish speaking patrons, the resource offers a search limiter by Spanish content. The Tennessee Electronic Library is made possible through funding provided by the General Assembly of the State of Tennessee and the U.S. Institute of Museum and Library Services. TEL is administered by the Tennessee State Library and Archives, a division of the Tennessee Department of State.